BASKETBALL: American import Jayden Ferguson has a massive head start as he prepares to serve Ipswich Force in this year's Queensland Basketball League competition. The personable newcomer is good friends with Ipswich captain Jason Ralph after the pair played together for Valley City State University in the United States. Ferguson, 22, has even become acquainted with some Aussie slang, that often baffles American players when they come to Australia for the first time. But while being introduced to language pecularities and forging a strong bond with Ralph are huge advantages, Ferguson also brings fresh energy to a youth-laden Force team keen to make this year's state league playoffs. "I'd love to be here a long time,'' Ferguson said, having trained with head coach Chris Riches and most of the Force squad over the past five weeks. "I think Chris a great coach, a good guy. The Williston, North Dakota-raised recruit received another boost before the new season. He trialled with Force's other long-time import Kyle Harvey while still in the US. "I went to Corning (where Harvey lives) and we worked out for the weekend,'' Ferguson said, appreciative of that opportunity before his first trip to Ipswich. However, it's been in Ipswich where Ferguson has quickly become settled with Ralph and his fiancee Georgia at South Ripley. Georgia plays for the Ipswich Force women, being another important member of the closeknit Force family. Ferguson grew up in Williston before meeting Jason and Georgia at college while graduating with a degree in physical and health education. During his four-year stint with Valley City State University, he received a Most Valuable Player award, was recognised as the leading player in his conference and was selected in All-American teams (junior and senior years). In the 2017/18 season, Ferguson finished second as all-time leading scorer in his conference with 2128 points. It was at Valley State University where Ferguson and Ralph were room mates and became close friends. 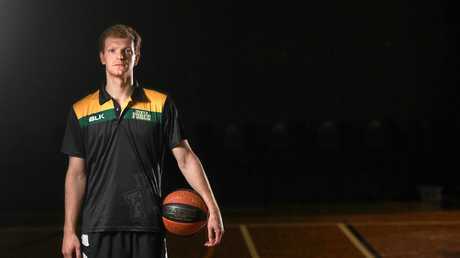 "It's awesome,'' Ferguson said, having that bond coming into an unfamiliar Ipswich environment preparing for his first QBL season. Ferguson said it was very difficult for an overseas basketballer to transition to a new team not knowing anybody. 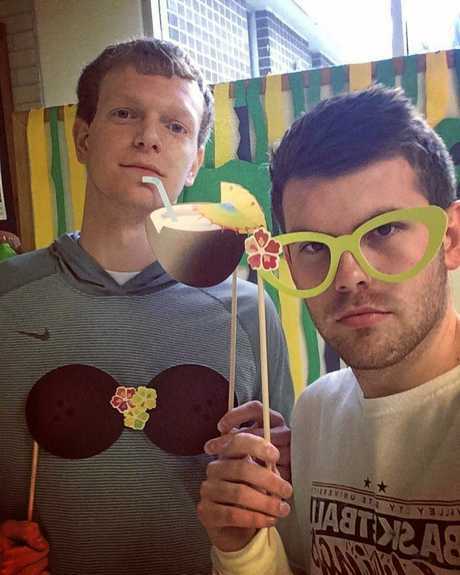 Ipswich Force 2019 teammates Jayden Ferguson (left) and Jason Ralph have some fun as roommates in the US. Having helped Jason in the US, Ferguson is happy to have such a strong connection in Ipswich to ease him into a new season. 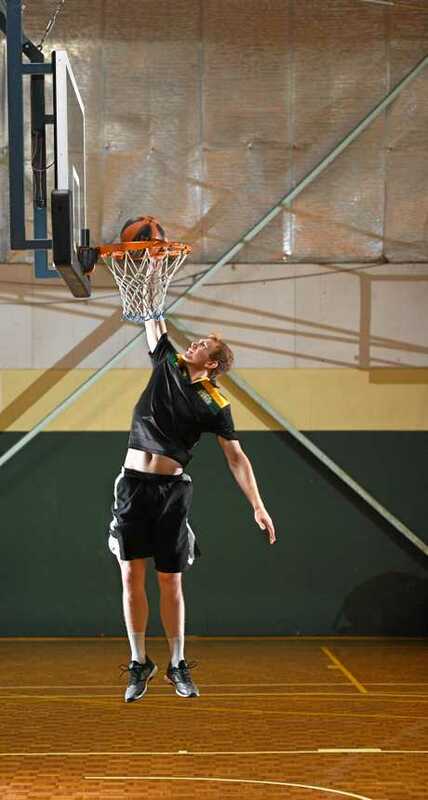 At 195cm, Ferguson is excited about seeing what the QBL offers, adjusting to some new rules. "This is my first year out here, first time playing basketball after college,'' he said. Ferguson expects to play a number two or three role (guard, small forward) with Force, a responsibility he feels comfortable with. "In my first few years at college, I played more of a power forward situation,'' he said. 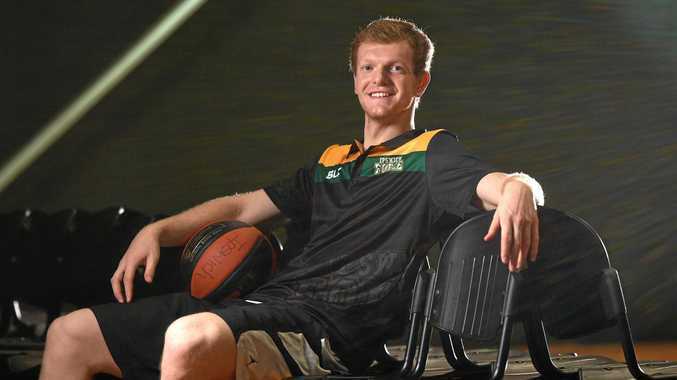 Nicknamed Ferg, the aspiring teacher hopes to use his height to advantage when the 2019 QBL season tips off next month. Ipswich's first game is at home against Mackay on April 28. Getting used to life in Ipswich, Ferguson smiled his approval. "As for the food, it was not that big an adjustment but the slang and understanding people has been real difficult,'' he said. 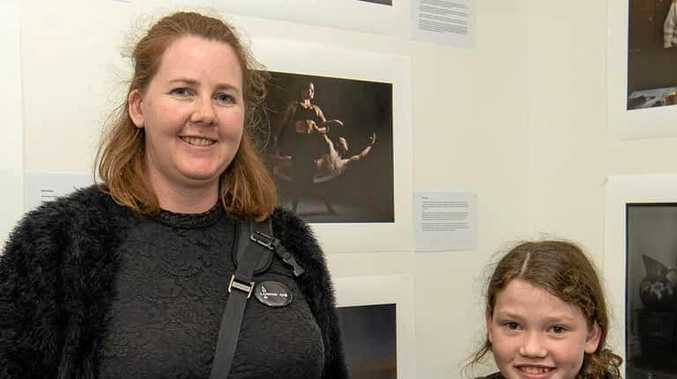 "Our first few weeks of practise were really difficult for me. Ipswich Force import Jayden Ferguson. Motivation: "I just want to do really well in everything I do . . . if you do something, you do it right and give it 100 percent all the time''. Most rewarding part of basketball: "It's the mental aspect - being able to push yourself to the point where you might not be able to think you could have done''. While in Ipswich: Having graduated in physical and health education, Ferguson hopes to get teaching lessons in regional schools while he trains and plays for Ipswich.